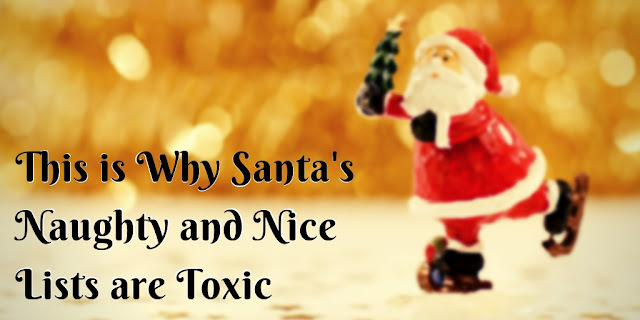 I did a post earlier listing 5 reasons why we don't do Santa Claus, but here is another reason why we don't do Santa and I felt it deserved a post of its own. Santa Claus only gives toys to children who are "good" or "nice." This is manipulation, using a toy to get kids to be good. His toys aren't presents, but rewards or prizes. 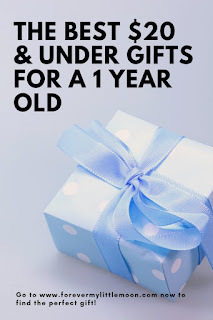 This is not what gifting is about. Scary Mommy shared a post on their Facebook about why threatening your child with Santa isn't okay, and I was appalled at some of the comments. 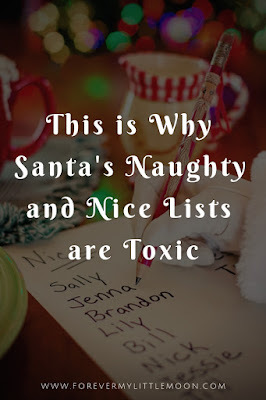 So many parents were actually for threatening their children and some even claimed they went as far as taking away Santa Claus or having him bring a lump of coal. I've been called a Grinch because we don't do Santa, but these people take the cake! It's like the whole reason these parents even do Santa is just so they have an excuse to bully their children. If I had a dime for every time I heard "Don't make me call Santa," I would be rich! Many were also arguing "well that's how Santa works." Admitting that he only gives gifts to "nice" children, so why should they give their kids gifts from Santa if they have been "naughty?" This is just so toxic. They are showing their children that presents are only given if the person does what they want. This isn't in the spirit of giving at all. This is manipulation. It's also setting your child up with unrealistic expectations. Sometimes people do good things and aren't rewarded. You should want to do good deeds without getting something in return. We need more Phoebe Buffay's in the world. If you still want to do Santa, then don't threaten your child. Don't tell or scream at them that you are going to call Santa. Don't even talk about them being naughty or nice. Simply tell them Santa will bring them a gift because he is a nice guy and he wants every boy and girl to have a toy. That is the true meaning of giving. That is the spirit of Christmas! Remember, Santa isn't real. He's fictional. You can play him however you like, that means you can make him a nice guy. 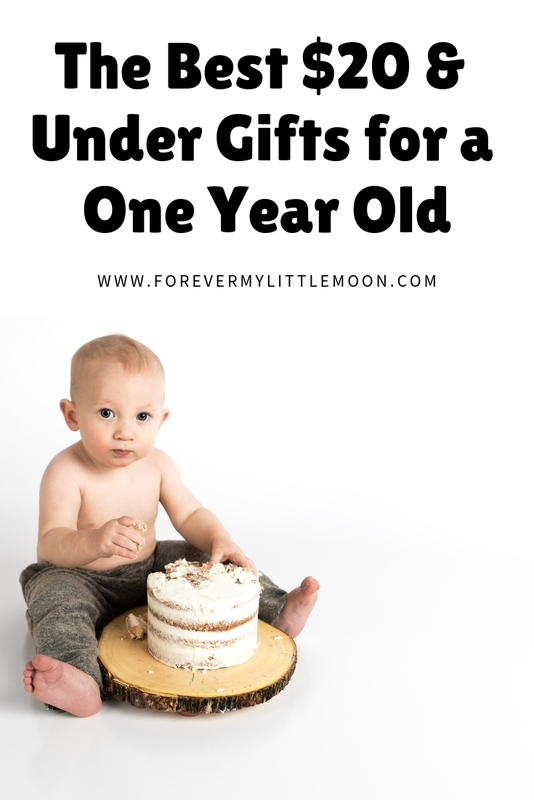 You can change his toxic message of giving to a better one and teach your child that gifts are given out of kindness and love with no strings attached. 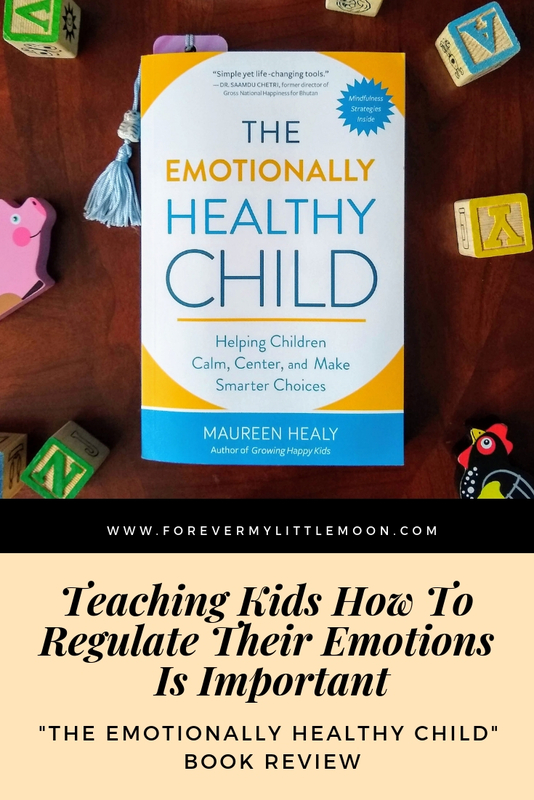 Disclosure: I received a copy of the "The Emotionally Healthy Child" by Maureen Healy for free, but all thoughts and opinions are my own. Affiliate links are also used in this post. You can read my full disclosure here. I personally feel our society would really benefit from having required child psychology classes in high school and maybe a refresher course before having kids, like how they have birth classes, they should have parenting classes. However, as adults, most of us know how to read, and so we can and should educate ourselves, ideally before having children, and continue to learn along the way. 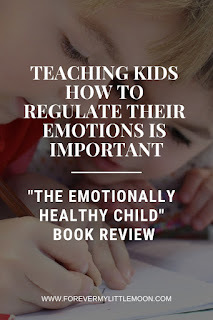 One book I highly recommend reading is "The Emotionally Healthy Child" by Maureen Healy. I grew up in a house with a parent who did not know healthy ways to express their anger. I was screamed at, yelled at, and even physically assaulted (spanking). Because of this, I grew up without knowing how to express my anger in a healthy way and actually feared to feel the emotion because of how I have seen it play out. When I felt mad, I often chose the silent treatment, or would keep things bottled up until I was shaken so much, it all came out and not very pretty. I never yelled as I did not want to be like my parent, but I often resorted to slamming doors, cabinets, etc. Basically, I let other things do the yelling for me. My husband threw me for a loop when he said back when we were dating: "I wish you would have just told me." You see, my upbringing made me afraid to say when I was upset because I wasn't allowed to be upset, or if I was upset and expressed it, I was treated wrongly so. Plus when my parent was mad, it was very scary and so I feared the emotion altogether and did my best to hide my anger. With my partner's help, I got better at communicating when I felt upset before things would spiral out of control. It helped that he was always so calm. He had a gentler upbringing than I did, so I definitely think that's why he handles his anger so much better. 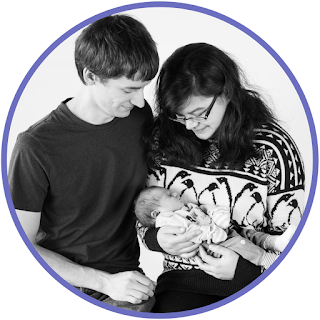 I started seeing a therapist shortly after our daughter was born because I was experiencing anger inside of me, probably a combination of being tired and first a time mom with no idea what to do, and I was afraid of unleashing it on her, which lead to me keeping things bottled up again. I was diagnosed with anxiety, which I likely had since I was a kid due to my upbringing. My therapist helped me learn ways to calm my anxiety, which in turn, calmed my anger. I slipped up every now and then and raised my voice, and I would apologize to my daughter, often in tears. It was a hard first few months as I had to learn how to safely express my feelings and also had to realize that as humans, we all make mistakes, and there is no way I will ever be 100% on top of my emotions, but I can at least aim for 99%. The cool thing I realized while writing this is that I haven't yelled at my daughter in months! Of course, I shout her name, to try to get her to come to me, but I haven't yelled at her out of anger. I actually hardly ever feel angry with her because I have also educated myself in child psychology (which is why I wish classes where required before becoming parents because I feel so many adults go into parenting without the proper knowledge on how a child's mind works). Sure there are moments she frustrates me, like when she throws her food on the floor, but I instantly remind myself "she's just a child, she doesn't know better, she's only acting on impulses" and boom! Suddenly I'm calm again and hey we have a dog, so I don't really have to clean anything! Being mindful is so important when it comes to emotions as if you can feel them happening, you can prevent them from escalating. Healy dedicates a whole chapter to mindfulness (Chapter 5: Insight) in her book, "The Emotionally Healthy Child." She provides excellent tips and activities to help develop and practice mindfulness. Reading "The Emotionally Healthy Child," by Maureen Healy brought me back to my childhood, to a time where feelings weren't encouraged as much as they are today. She even mentions in her introductory chapter that the tools in her book were ones she wished she had access to as a child, and I feel very much the same way. 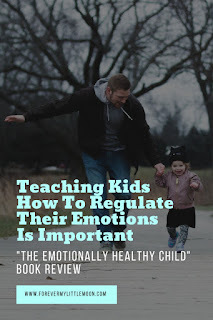 So many of us were raised in settings where we weren't allowed to have emotions, which is why I believe we have so many aggressive and angry adults in the world today, especially men. We grew up without the tools to manage those emotions, and that's how you end up with adult tantrums (I've seen my share working retail. The elderly women are the worst!). 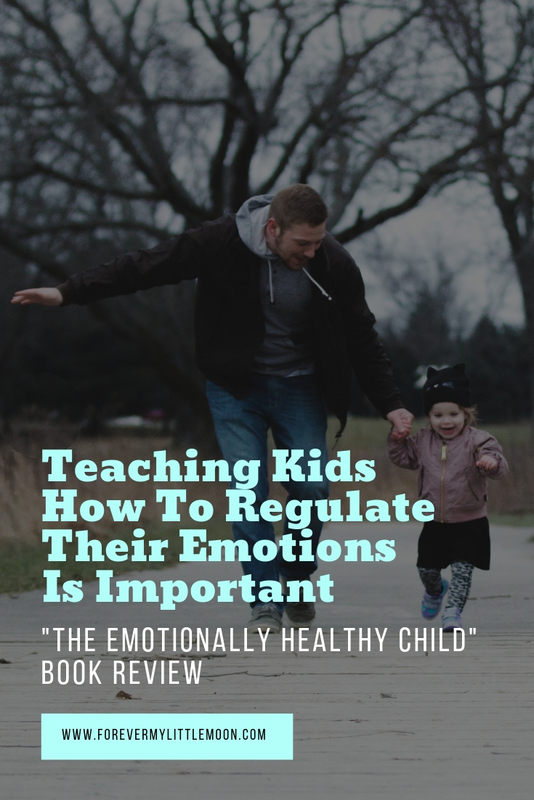 We aren't born knowing how to regulate our emotions. It's something we have to learn. 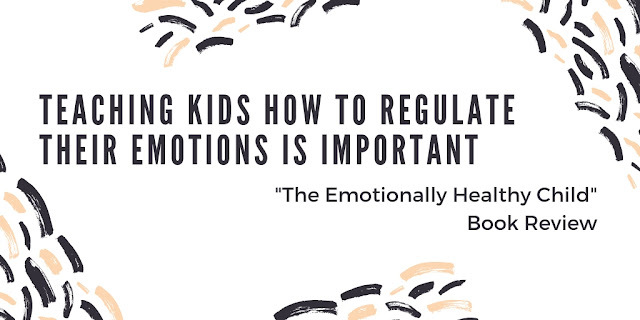 Healy provides many great activities/tools in her book to help you and your child recognize their emotions and find safer and more productive ways to release those feelings. Her final chapter is actually a "toolbox" with tips on how to handle almost every emotion from anger to sadness. 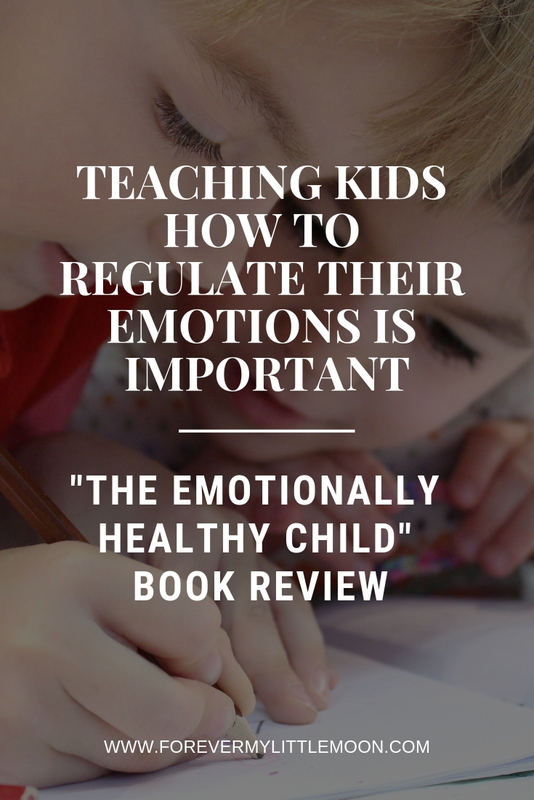 Though this book is geared towards parents and kids, I feel all adults could benefit from it. Many of these techniques were ones that my therapist recommended to me for helping with my anxiety, such as deep breathing (called bubble breathing in the book) or making a checklist of smarter choices. You can find her book on Amazon. Disclosure: Affiliate links are used in this post. All opinions and thoughts are my own. You can read my full disclosure here. 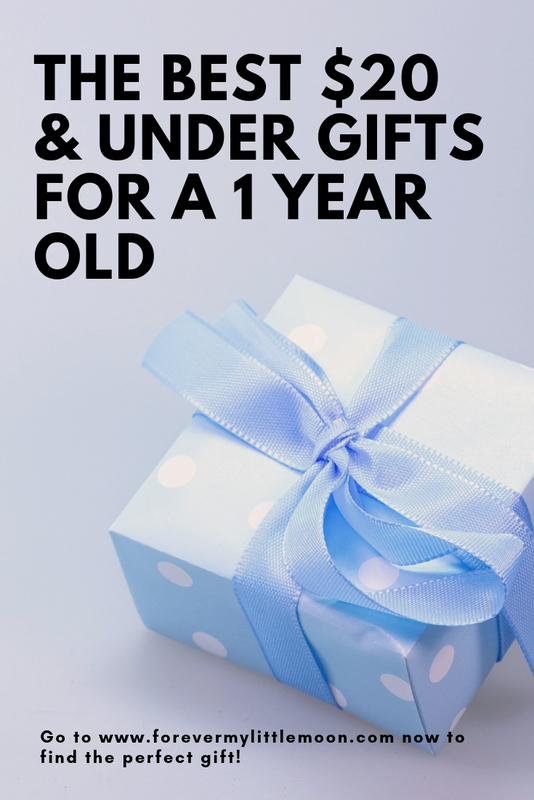 These were all toys that my daughter loved when she was 1, so I believe they would make great gift ideas for other 1-year-olds as well! These lovable plush buddies can be taken into the bathtub and work as washcloths! Our daughter has the turtle and hippo that she received from her grandma as a gift. She loves playing with them in the tub and outside in her pool too! Mega Blocks are a great STEM toy! We actually got a bag for our daughter's first birthday. She didn't really get into them till closer to 18 months when she figured out how to put them together herself. Before then she mostly just smacked them together or handed them to us to show her how to make something. One of our daughter's first words was "car" and she loves playing with them! She learned how to "vroom vroom" quickly, so it's a great way to teach them how to make sounds too! Her favorite one is the Oball car (pictured below), but she also has a Mega Blocks train set she likes and a few other random cars. We got these before our daughter was one, but she mostly chewed on them as a baby. 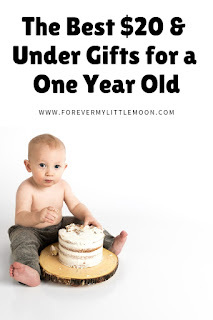 It wasn't until a little after turning one she actually began to roll them and practice throwing them. The Infantino balls are great as they also have fun textures. My mom actually got our daughter both of her phones as presents. She has the classic rotary telephone and a cell phone one that makes noises when you press buttons. Luckily it's not very loud and it does have an off switch! She was more into the noisy cell phone at first, but around 20 months or so, she really started loving the telephone. We think it's because she figured out how to pull it using the string and now she loves to drag it around everywhere! I originally got a bunch of these from Target's dollar spot for our daughter's newborn photos as I wanted to spell out her name. We let her have them to play with when she turned one as it was a great way to get her to practice stacking! Her favorite game now is to build a tower as tall as she can before it falls over. Such a great STEM toy. We got this for our Disney trip as a way to distract our daughter on the plane. She was 14 months at the time, so she mostly stared at it as we rotated it. Once she a got a little older, she loved shaking it around. It's a great first instrument! We have the Fisher-Price Brilliant Basics Rock-a-Stack (pictured below), and our daughter loves it! 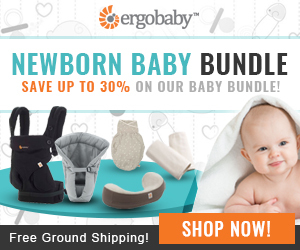 It's a great STEM toy, teaching your baby how things fit together. 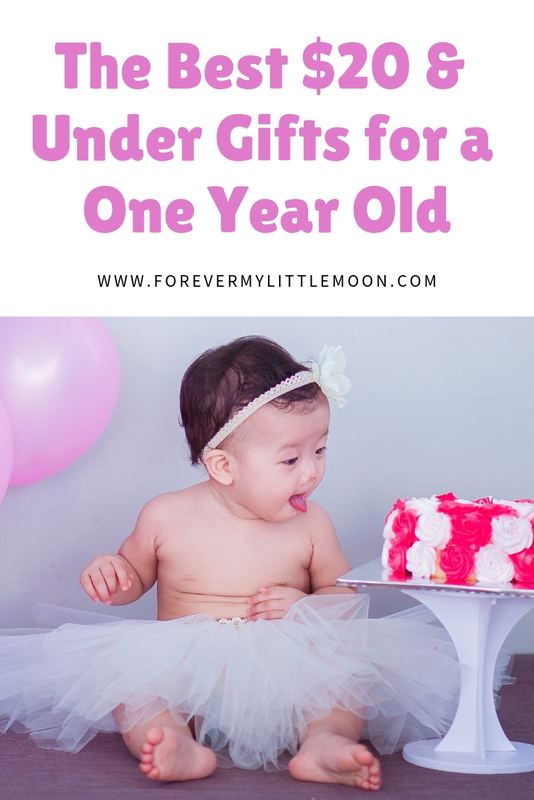 We had it before she was 1, but it wasn't until she had turned 1, that she began to show more interest in taking the rings off and stacking them herself. 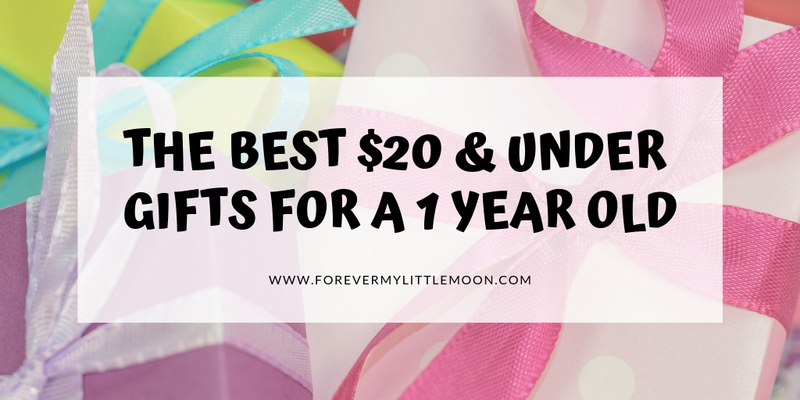 These books truly are indestructible, so perfect for little ones! Our daughter still has hers and she's almost 2! They are still holding up, but have become quite wrinkly. I love that they can be washed, so you don't have to worry about your baby drooling all over them. They're so easy to just cram into a diaper bag and travel with. The best part is they are under $6 a piece on Amazon!